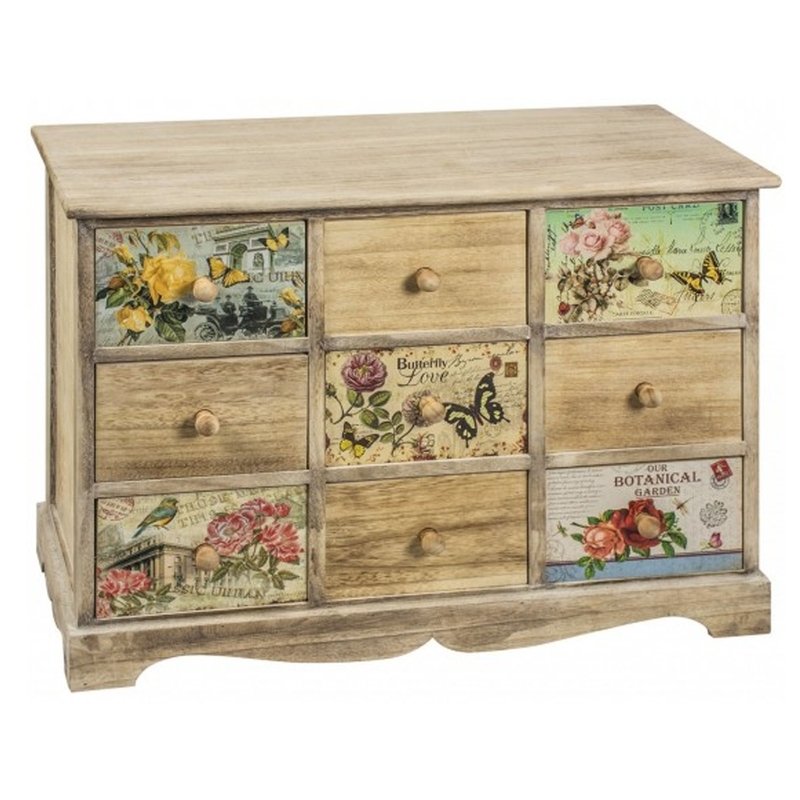 Featuring a gorgeous flower pattern, this Shabby Chic Chest of Drawers also includes plenty of tabletop top space, perfect if you are in need of some additional storage space within your bedroom. A welcomed addition to any style of home, this chest has been built to last for generations to come due to the high quality of materials and craftsmanship which has been displayed to create such a stunning piece of furniture. Buy this now for a very cheap price.